Looking for a new home can be an exciting and challenging experience. Having the right real estate proffessional that takes the time to listen and understand your unique needs and lifestyle is important. Michael Marchena will work hard to not only find the perfect home for you, but also to handle every last detail of the purchase process, from negotiating the terms of sale to recommending moving companies. Here’s the most important rule for keeping your stress to a minimum: you don’t have to know everything. Your local Real Estatelocal Real Estate agent Michael Marchena is ready to help you through every step of the process. When you’re looking for a real estate professional to help you, know that above all else, a good agent will always put their clients first. This is your dream, and Realtor Michael Marchena is simply your advocate to help you make your dream come true. Be sure to follow these six steps to financing your home: Note You are not alone, and Realtor Michael Marchena will help you along the way. Either you can take the recommendations provided my your Real Estate Agent or you can Choose your own loan officer. Once you’ve found a home you love, the next step is making a compelling offer. While emotions are probably in high gear once you’ve found a home you love, it’s important to remember that a home is an investment. Real Estate Agent Michael Marchena will research similar properties in the neighborhood to help you determine the market value, and fair price, for your home. 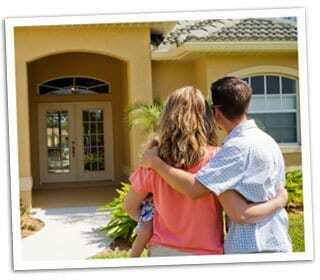 Look to your real estate agent to explain and guide you through the offer process. Just because you love a particular property doesn’t mean that it’s perfect. In fact, this is where reason has to trump emotion. You’ll need to have a property inspection (which I highly recommend you attend) that will expose hidden issues. This way you’ll know what you are getting into before you sign closing papers. Keeping in touch with your Real Estate Agent Michael Marchena and your lender, returning all phone calls and completing paperwork promptly. Communicating with your Real Estate Agent Michael Marchena at least once or twice a week, and verifying with your lender that all mortgage funding steps are completed. Conducting a final walk-through of the home with your Real Estate Agent Michael Marchena. Confirming with your Real Estate Agent Michael Marchena, home insurance professional, and lender that you have the settlement statement, certified funds, and evidence of insurance lined up prior to closing. And remember, just because the sale is complete, your relationship with Realro Michael Marchena doesn’t need to end! After closing, your Michael can still help you by providing information for your tax returns, finding contractors and repair services, and even tracking your home’s current market value.